Finally something other than foam stickers and gems for kids! Love these. I've always thought Target needed and arts & crafts/sewing department. And a garden center. They would have the best stuff!!! Of course I would go way into debt!!! This stuff is so rad. I love Charlie Harper's illustrations. I'll have to get the Charlie Harper paint kits. I've been eyeing his coloring book but these will be even better! I have the perfect spot for this art. Can't wait until May 20th. 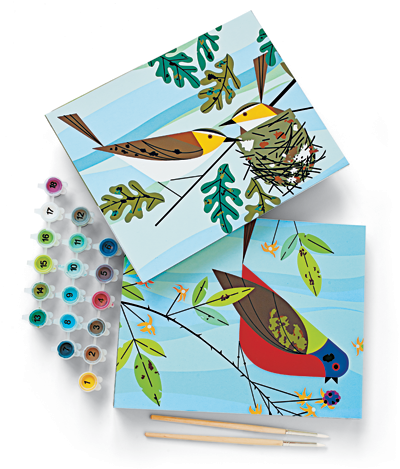 Love the Charley Harper paint by numbers - and those gemstone crayons just make me want to grab em and scrawl! Sort of related... 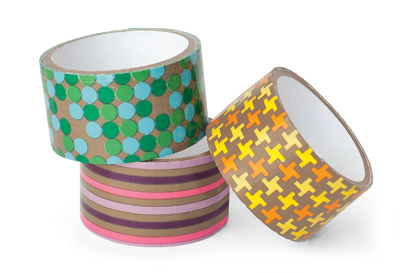 I bought some washi tape (Target's up & up) brand there last month. Four rolls in a pack for $4. There were three different packs to choose from in red, green and blue, and each pack had one solid colored roll and three patterned rolls. Drool!! I am loving these for MYSELF! Wow!!! Todd's Kid Made Modern arts/crafts book is one of our family favorites! And anything peppered with Charlie Harper's stuff is a sure winner. Oh my, I'm so excited! I will buy all of those paint kits. Hells yes. Waaaaaant! I love Target's style so much, can't wait for the arts and crafts! Those little bird pictures look amazing. Yay! They look fantastic! Where's my credit card? Very jealous that we don't have Target in the UK...and they don't ship internationally either! Bah. Is it bad that I put the date for this into my calendar? Yes? Well, I don't care, I NEED those paint-by-numbers. My crafty streak needs them, and so do the walls in my apartment. Hey, a girl's gotta have something to look forward to! the tape is amazing...SO many uses!!!! I love the duct tape! Plus, Charley Harper is wonderful. Thanks for the heads-up! I see that I'm going to have to be ready to run other shoppers over on May 20th - but I will elbow an old lady out of the way for anything Charley Harper!